It’s almost impossible to find raw organic almonds in America today. In fact, in order to sell almonds wholesale, virtually all growers are forced to pasteurize their nuts above 130°F. This damages the flavor and kills all the enzymes (enzymes die at 118°F). Though several raw food gurus claim to sell “raw” almonds on their websites that is not the whole truth. Click here to order directly from Capay Hills Organic Orchard! You see, you can’t actually purchase raw organic almonds through retailer websites. You can only buy raw organic almonds directly from the grower. TIP: Watch out for retailers that sell pasteurized almonds and call them “raw” because technically they’re not “roasted.” But they’re also not really raw! You see, almonds are pasteurized at over 130°F, and while this is a low temperature (roasting is over 350°F ), it’s still enough to kill the living enzymes and damage the nutrients. These nuts will never sprout – because they’re dead. To say a seed is raw, it must have live enzymes — you must be able to sprout it! Since RawFoodLife.com doesn’t push retail sales, I get around this problem by letting you buy truly raw, organic, sproutable almonds directly from Brian Paddock at Capay Hills Organic Orchards. Just click the Buy Now button to go right to their website! I don’t get a mark up, though every now and then he may send me some of his almonds to say thanks. When you buy directly from Brian, you are getting the very best almonds in the universe! And Brian insists on giving his customers the lowest price he can so he only sells directly to them. He refuses to sell at a “wholesale” price to other retailers. Which means that basically YOU are getting the wholesale price! The U.S. Department of Agriculture manages the National Organic Program (NOP) and authorizes certification. There are several organizations that offer certification. Capay Hills Orchards are certified organic by Yolo Certified Organic Agriculture (YCOA a USDA accredited certification agency). YCOA was created by local growers and consumers in Yolo County, California. Terms like “beyond organic,” “no spray,” “pesticide free,”, and “grown organically” are NOT the same “certified organic.” Only certified organic products are annually verified as being produced to NOP standards. Truly organic farming takes a lot of serious effort and is financially intensive, but in the end it’s well worth it. 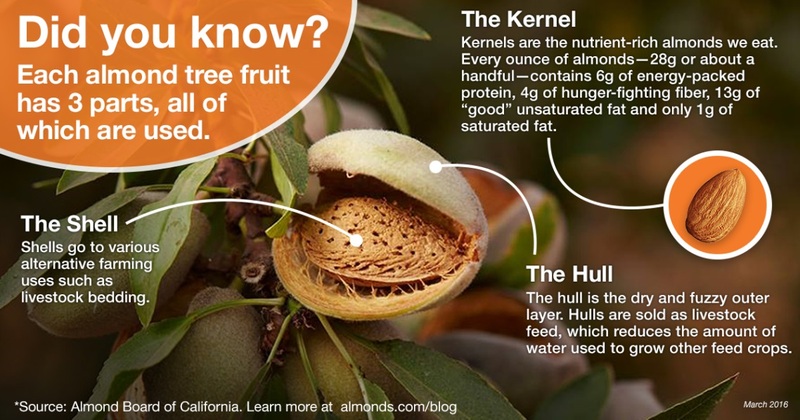 Enzymes – Almonds are actually a seed not a nut. So soaking your almonds tells them it’s time to grow. This also tells them to turn off the enzyme inhibitors in nuts, which then increases the enzymes needed for plants to grow. Then you eat the almonds and get not just a lot of protein and other nutrients, but living enzymes that improve your digestion as well as many other bodily processes. Minerals & Vitamins – Growing plants need plenty of B vitamins and minerals – and so does your body! Carbohydrates – Seeds use carbohydrates for the energy they need to sprout. Reduced Oxalates – Oxalate-containing foods can be a health issue for people sensitive to oxalates or prone to developing kidney stones. Sprouting your raw almonds lets you enjoy them without any risk from the oxalates. Unlocks Amino acids – Certain nutrients, such as amino acids, become more bioavailable when you soak your almonds. 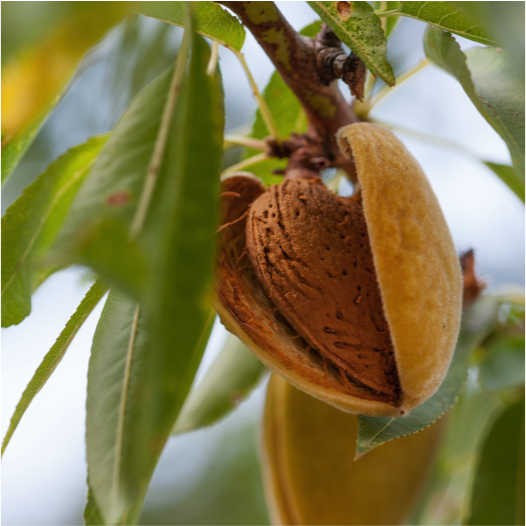 Improved Taste – Sprouted almonds taste more nutty than pasteurized or roasted almonds. 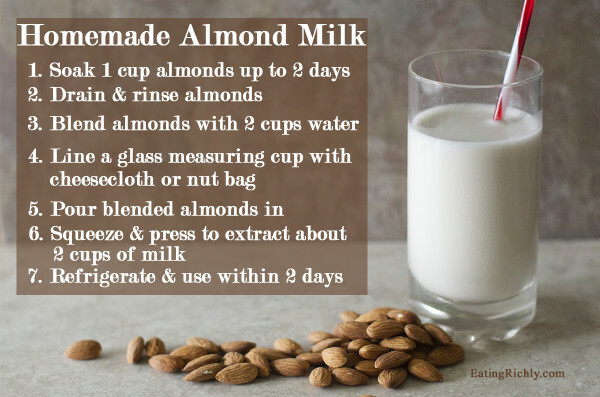 You can use your sprouted almonds to make raw, live almond milk and many other recipes. Raw, live almond milk is like throwing a party for your mouth! Once you try it you won’t every want to buy pasteurized almond milk in stores again. I also like to dry my raw, soaked almonds in my dehydrator for a terrific snack. When you dry the almonds they last a lot longer than if you store them wet in the fridge. I also sprinkle the wet almonds with a little pink Himalayan salt before drying – even more delicious! Fills you up. Just one serving of raw almonds (one ounce or about 23 almonds) make a filling snack that can keep you going for hours. You get 160 calories, 6 grams of protein, 3.5 grams of fiber and 14 grams of healthy fats. Lower your cholesterol. A recent study in the American Journal of Clinical Nutrition found almonds can reduce cholesterol levels as much as some statin drugs! Almonds are famously high in monounsaturated fat, associated with heart health. Drastically reduce heart disease – The Nurses’ Health Study (one of the largest longitudinal health studies ever) estimate that replacing nuts for an equivalent amount of carbs cuts heart disease risk by 30%. But even more impressive is substituting nuts like almonds for saturated fat (as in dairy and meat)–the disease risk goes down 45%! Maintain healthy blood pressure – The potassium to sodium ratio in raw almonds actually lowers your blood pressure by drawing more fluid out of the bloodstream and into your cells. Almonds have 162 mg of and just .2 mg of sodium per serving. Prevent muscle spasms – The magnesium and potassium in almonds help maintain the blood and oxygen level in your muscles, helping to regulate electrical signals. They also help blood vessels and muscles relax so they get more oxygen and nutrients that prevent cramping. Reduce risk of diabetes – Almonds can prevent surges in blood sugar while increasing antioxidants, important for preventing and controlling diabetes. Protect skin, organs & connective tissues – The high vitamin E in almonds keep organs like skin functioning well. Almond oil is a highly-valued protectant and moisturizer for your skin, as well. Slow the aging process – The bioflavanoids in almonds work with Vitamin E to prevent cellular damage, helping your cells to cells regenerate. Provides cellular energy – Cellular energy needs trace minerals like the copper and manganese in almonds. B vitamins and vitamins C and E also help with your energy production. Sprouting raw organic almonds greatly multiplies all these nutrients. Helps weight loss – One study of overweight people on a low-calorie complex-carb diet compared to with people on a low-calorie, almond-rich diet showed that the almond-eaters had a 56% greater reduction in body fat and a 62% greater reduction in weight. Prevent gallstones – A study of nurses showed that women who ate 1 ounce of nuts per week lowered their risk of gallstones by 25%. Promotes healthy eating – In a year-long study, eating just 2 oz. of almonds daily also helped people prefer more nutrient-dense foods — and fewer high-sugar, low nutrient foods. Delicia Beaty and Sharon Foutch. The Benefits of Soaking Nuts and Seeds. Andrea Cespedes. How to Eat Almonds to Lose Weight. Michael Moss. Are Nuts a Weight-Loss Aid? Wellness Tips Blog. Pasteurized almonds update. Chen CY, Milbury PE, Lapsley K, Blumberg JB. Flavonoids from almond skins are bioavailable and act synergistically with vitamins C and E to enhance hamster and human LDL resistance to oxidation. J Nutr. 2005 Jun;135(6):1366-73. 2005. Jaceldo-Siegl K, Sabate J, Rajaram S, Fraser GE. Long-term almond supplementation without advice on food replacement induces favourable nutrient modifications to the habitual diets of free-living individuals. Br J Nutr. 2004 Sep;92(3):533-40. 2004. Jenkins DJ, Kendall CW, Marchie A, Faulkner DA, Wong JM, et al. Direct comparison of a dietary portfolio of cholesterol-lowering foods with a statin in hypercholesterolemic participants. Am J Clin Nutr. 2005 Feb;81(2):380-7. 2005. Click Here to Buy Now directly from Capay Hills Organic Orchard! Benefits of really raw organic almonds and where to find them & the health benefits of eating almonds soaked in water? Thanks for your question. The article you read has all you need to know about eating truly raw organic almonds. But you should always soak raw almonds first. Since they’re raw soaking makes them think it’s time to grow so they release lots of enzymes. This breaks down the proteins, which are hard to digest into amino acids that are easier to digest. You can read my site for more info on how to soak almonds.